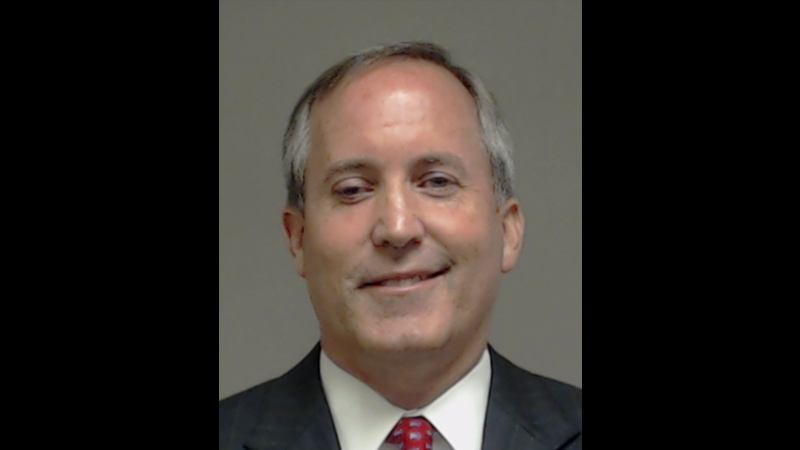 Texas Attorney General Ken Paxton was recently indicted by a grand jury on three felony counts of securities fraud. He was booked into jail Monday afternoon and quickly released on his own recognizance, spending only about 20 minutes in custody. He did take a moment to pose for the above booking photo. What we’ve learned here is that you evidently don’t get do-overs with booking photos. Paxton is being charged in relation to his business dealings with a McKinney-based company called Servergy Inc., who he tried to sell stock for in July 2011, when he was a member of the Texas House. He’s accused of failing to disclose to potential stock buyers that he had been paid in shares of Servegy, of falsely claiming to be an investor when he was not, and of failing to register with the State Securities Board in 2012 while allegedly acting as an investment adviser. Since being overwhelmingly elected by the voters of Texas, General Paxton has helped lock up child predators, investigated the odious acts of Planned Parenthood, relentlessly pushed back against an overreaching federal government, and we expect him to fight these allegations with that same zeal. Ken Paxton, like all Americans, deserves to have his say in a court of law, rather than be judged in a court of public opinion that is presided over by liberal interest groups. Can’t blame that booking photo on liberals, though, can we, Ken.